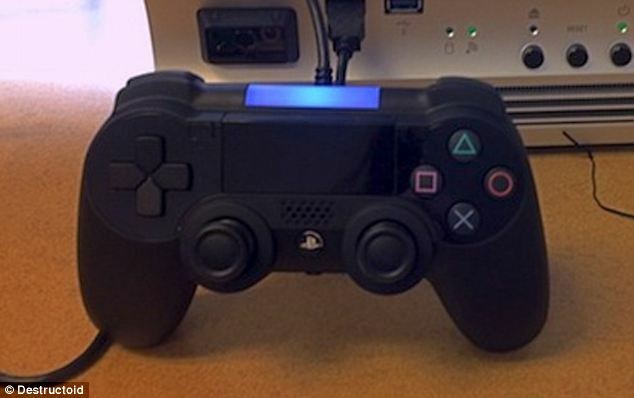 The PS4's controller looks much like previous Dualshock controllers. The one shown in the event seemed to be very similar to the one leaked in pictures recently. The D-Pad is closer together, there's a headphone jack, and the shoulder buttons and rumble are improved, but the biggest changes are the share button, touch pad, and light bar. The light bar works with a sensor bar to track the controller's location. The touch pad seems to function simply as another form of input. The share button is part of the Playstation 4's huge focus on social gaming, which deserves its own section. Unlike Nintendo, Sony revealed many details about the system specs from the get go. In fact, they rattled them off so fast that I didn't manage to record them, though admittedly I wouldn't have understood their true meaning even if I had. But from what I gather, the hardware is pretty good. The Unreal 4 engine rendered quite nicely in real time and the demoed games all looked impressive. It will not natively play PS3 games (boo! ), but presumably will eventually via cloud gaming and Gaikai, recently acquired by Sony. [Update: PSN games from the PS3 also will not be compatible with the PS4 because screw the customer.] Once again, the biggest deal is the console's streaming and social capabilities, and once again I'll put off detailing that for another section. Apart from the social aspects, there were a few other neat features. You'll be able to suspend your gameplay with the power button and essentially pause and save long-term, anywhere in the game. Games can update and download in the background while you play. 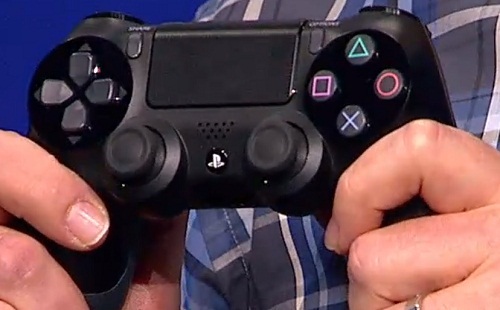 There will be demos for almost every PS4 game that you can play very quickly. Downloaded games will actually be playable as they download. Also, it'll be possible to stream PS4 games from the console to the Vita in much the same way as the Wii U can, though it seems this may not be available for every game. The PS4 will track your gaming habits and use this information to try to predict which games you might be interested in. Based on this, the store will display ads for games that it thinks you want (much to the chagrin of privacy activists, I'm sure), and it will even pre-download games based on these predictions, so that before you even buy a game, it may already have been downloaded. While this sounds like a handy feature, I'm sure that it'll get a lot of flack for the same reasons as Facebook's targeted ads do. The console has a built in, always-on, video compression and decompression system that will record your gameplay as you play. If you do something worth sharing, you can press the share button and review your recent gameplay, cut, and upload it. Even better, you can stream your gameplay live to friends or publicly to UStream. Friends can send comments to you while you play and developers may even allow them to directly influence your game while you play. You'll also be able to take give control over to someone watching so they can help you through difficult areas or show you tricks. It seems that there will be a big focus on making this functionality into a gaming-centric social network. Judging from the popularity of gameplay videos and Let's Plays on Youtube, and the rapidly increasing popularity of livestreaming on twitch.tv, the ability to record and stream video from all PS4 games seems like it will be one of the console's most successful features. There was also talk of having games from all Playstation systems playable on a wide variety of platforms including tablets and smartphones, though it seemed that this would still be a while off. Of course, all this technology is meaningless without games backing it up (isn't that right, Nintendo?). Luckily, several cool games were shown, with the promise of more throughout the year. It's still unclear whether or not most of them will make the launch window, but what was shown looks good. By the maker of Crash Bandicoot, Knack has a cartoony vibe, but looks to be action-oriented with a potentially deep story as well. Hardly any gameplay was shown at all, but what was shown, demonstrated how it could be streamed to and played on a Vita. The rest looked to be cutscenes showing off the story. The graphics look amazing, and that's about all you can tell about it so far. Seriously though, it's like playing in a CG movie. There are cars with an incredible attention to detail. Hopefully that attention to detail carries over to the gameplay as well. The buildup to this game talked of the government's overbearing encroachment upon its citizens' privacy, with cameras and other monitoring. I thought they were going to address the PS4's tracking of your gameplay habits, but in fact they were introducing the next inFamous game in which people with powers rise up against an oppressive government. Looks pretty cool. By the maker of Braid, is The Witness. 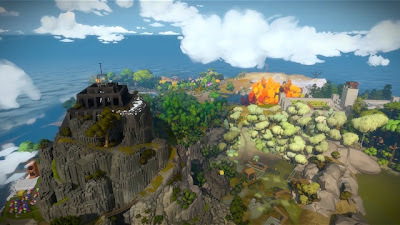 It looks to play something like Myst and also seems to be the most beautiful game I've seen since Journey. 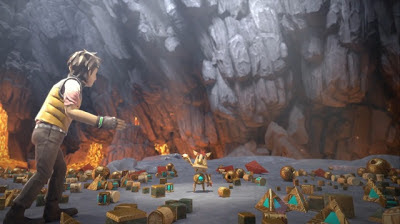 It takes place on an island and is apparently focused on condensed content, no filler, and solid puzzle-based gameplay. Of all the games shown, this is the one I'm most hyped about. It will be exclusive to the PS4 at launch, though based on the wording it seems that it will later be available on other platforms. In addition to these games, some third parties also announced a few games that look to have potential, including Bungie's upcoming game, Destiny. Once again, it's hard to say how much of this will be available at launch, but at least it seems more promising than the Wii U reveal at E3 last year did (thankfully, Nintendo has managed to reveal a bit more through Nintendo Direct since then). No word yet on price or release date, but what I've seen so far looks promising.